Welcome and a happy weekend to ya! With improving weather outdoors, I admit it’s been challenging to stay indoors. So I weeded the flower beds in preparation for pressure washing everything in sight which is next. Yay me! But I did get a major component done in the guest bedroom project and that was assembling my new sewing table! The base was stained to more resemble up-cycled saw horses and all kinds of antiques are used to hide and house the sewing gear. I also shared THEE journal list I start with each morning. This list is so much more than a simple to-do. This one helps you dig deeper and start working on those dream things that you’ve been holding back on. This one isn’t for the faint of heart… but here’s hoping if you take the plunge, you’ll soon be seen living your days and future life in a way you USE to dream about. 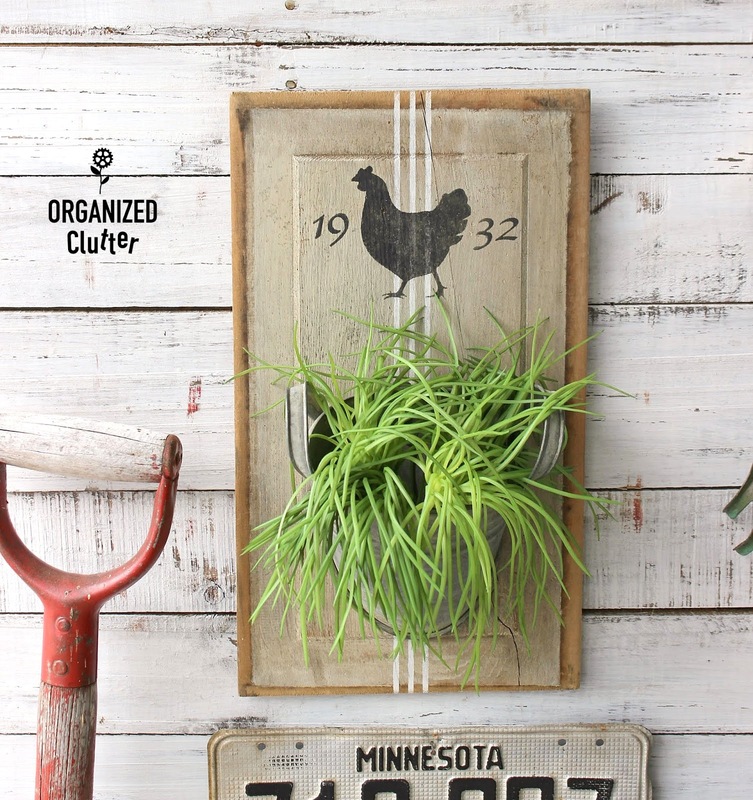 It’s hard to make out there’s a cabinet door hidden in this beautiful farmhouse wall planter because it’s just so well done! Note to self: look for more wood cabinet doors! Creative tutorial and full stencil details are inside this post. Click to learn all the hidden hacks in this one. 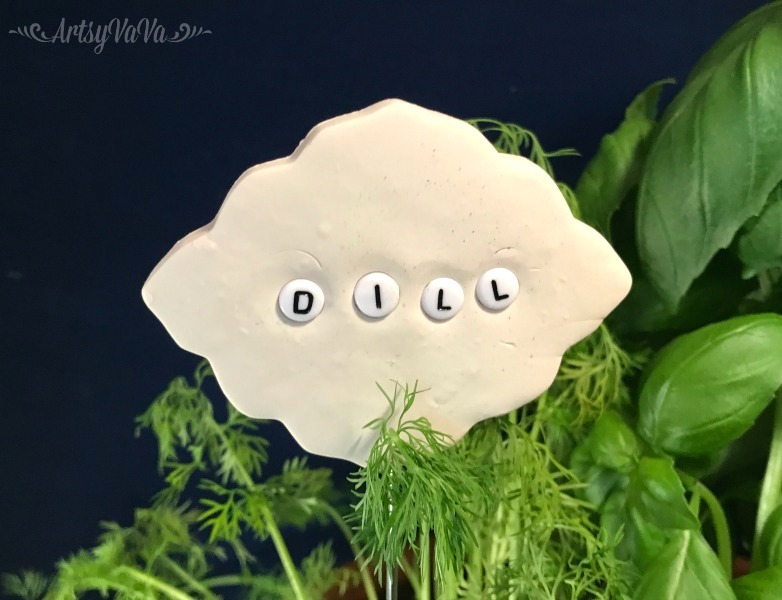 One stencil helped turn a plate super productive and a vase farmhouse perfect! Adoring the tones used in these projects, neutral with gorgeous contrast. Tutorials and full stencils details are inside this beautiful post. As much as I really appreciate Ikea stuff, when I see a project like this, I can’t help but think they’d do well to have a section where something plain was considerably ramped up to have a real personality! 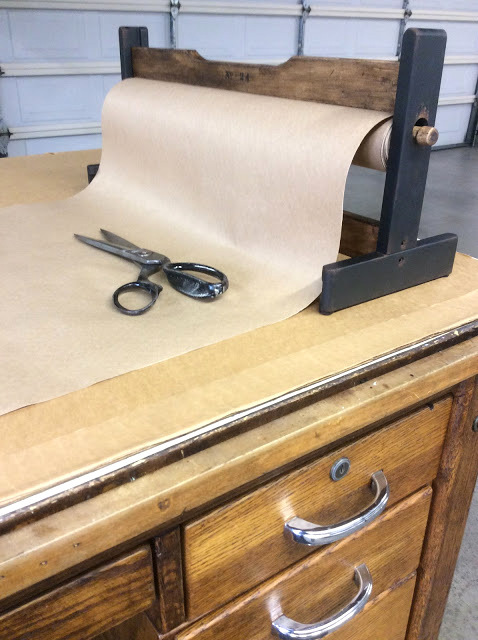 This amazing Ikea hack paper dispenser turned antique is the perfect example. Check out the finer details in this post and you’ll see exactly what I mean. Nothing says spring like moss, and this beautiful wreath will not only chime in with the season, you won’t have to try and keep it alive! Click to learn all the details. This is the perfect time of year to check out these plant label ideas… and here’s one. Clay meets beads to become this sweet herb label! How fun! Click through to see the other creative takes! 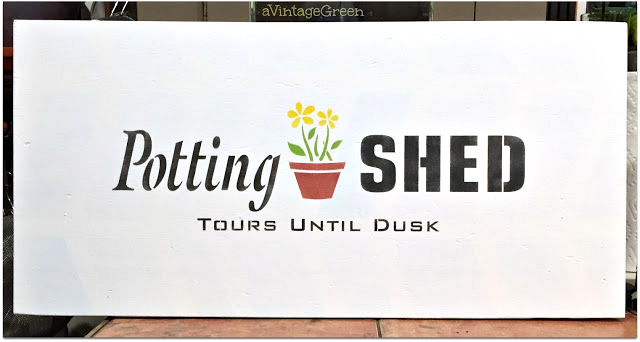 This bright and happy garden-themed sign is ready to beautify any space! Hung as-is, added hooks, there’s no end to what this full-colour beauty can do. Full stencil details are in this post. What did you make this past week? Link up below! 1. Upcycled, DIY home decor projects only please. Items for sale must be in tutorial form on your blog. NO FOOD NOR NEW CRAFTS please. 3. Only projects new to this link party please, to keep things fresh. Repeats may be deleted. 4. 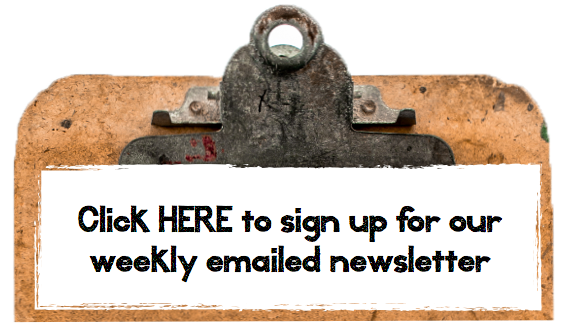 By linking up here, you’re cool with me featuring you on my blog, Pinterest, Twitter, FJI Facebook with a link back to you, or its own new LINK WIDGET with no additional permission required. 5. No need to link back to the party! Would love it if you pinned the first gallery picture instead. Thank-you! I love your trestle leg table. 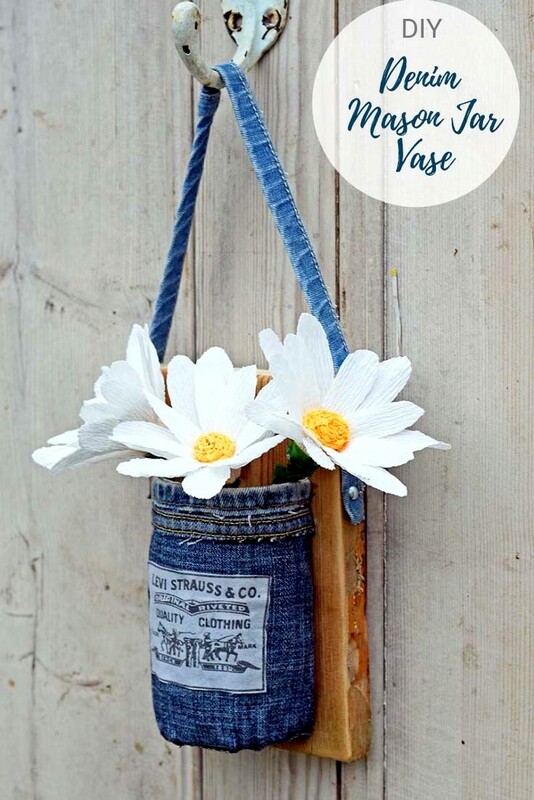 Thank you for featuring my denim wall vase. Have a fab weekend. Thanks so much for hosting!! I hope the 2 projects that i linked up qualify for the party!! 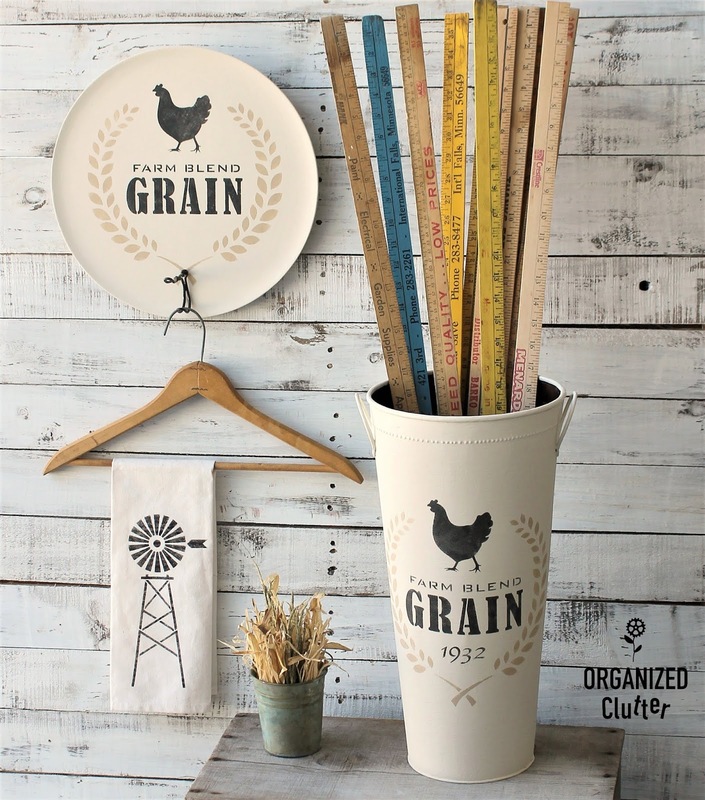 Thanks for featuring my farm grain stencil projects! It’s so easy to create great decor with your stencils! 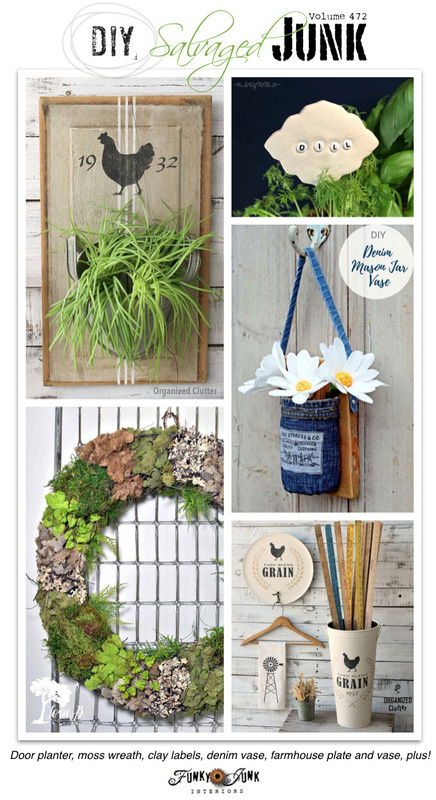 Thank you for featuring my plant markers. I have my seeds ready to plant so I need to get busy making more. Luckily they’re easy to make! Thanks, too, for hosting the party. Have a great weekend. The power washer…such a wonderful way to get everything clean quickly; now you’ve got me excited! Have fun with that;) Can’t wait to see some sewing projects on the horizon! 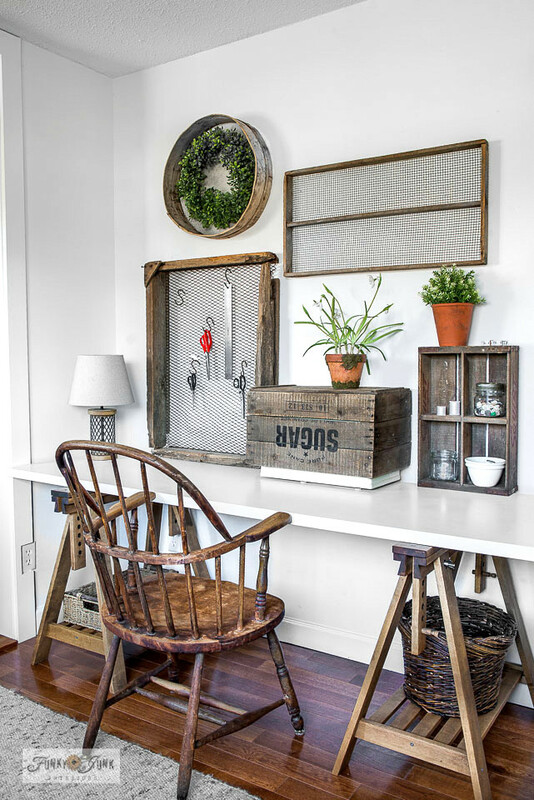 The wood crate over the top is genius (thumbs up emogi). 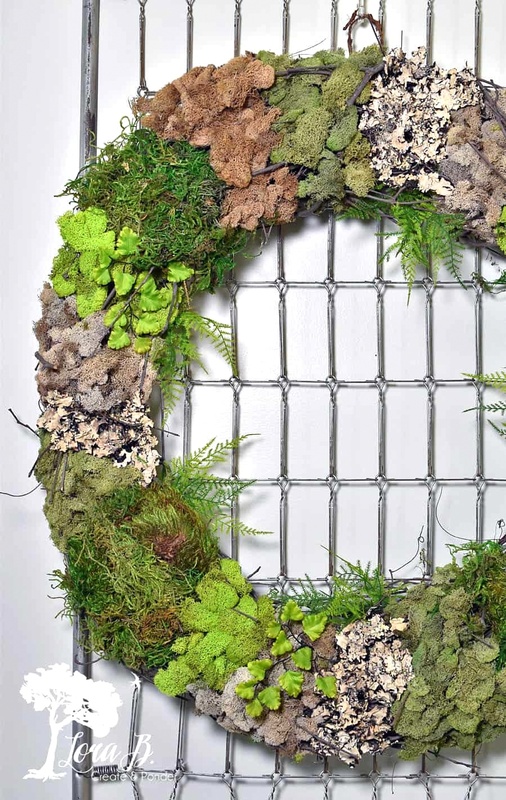 Oh, to have a room to sew in rather than my dining room table:( Thanks for featuring my Mixed Moss Grapevine Wreath! Have a great weekend, Donna! it seems like more ideas spring up this time of year than flowers in the garden! 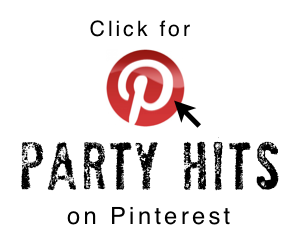 WOW, what a great lineup of fun projects to welcome spring… we’re all gonna’ be busy as bees 😉 (i’ve been working on so many yard decor projects that i had to create a new Pinterest board to hold them all) thanks for hosting such a terrific party, Miss Donna. and Happy Spring!